Home > How can you measure the value of a webpage? 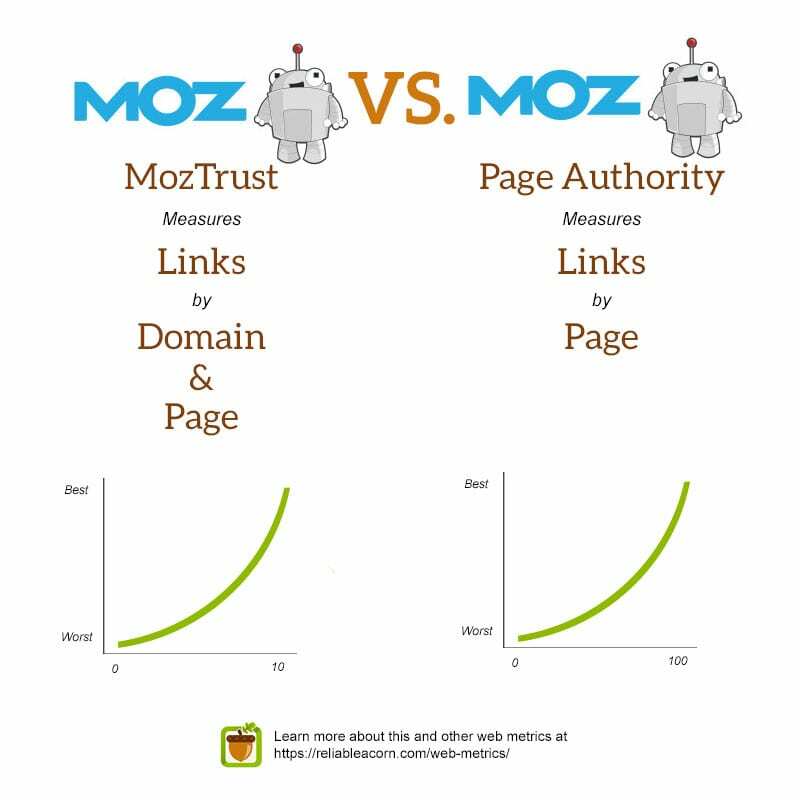 > How is MozTrust different from Moz Page Authority? How is MozTrust different from Moz Page Authority? MozTrust is based on a scale between 0 to 10 and it is calculated based on the distance of trusted web pages to a given web page. Moz Page Authority is based on a scale of 0 to 100. It is calculated using MozTrust, MozRank and dozens of other factors. While MozTrust can be calculated page wise as well as domain wise, Moz Page Authority is only be calculated by the page.